Welcome to the island of Vis. Copyright © 2007 INFO-VIS.NET online. All right reserved. Island Vis- Vis accommodation, Vis apartments, Vis Croatia. 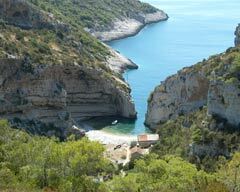 Here you can find all useful tourist information about island of Vis. Accommodation: apartments, rooms - houses for holiday, direct booking with owners..